This was a 50 year old gentleman with history of occasional alcohol intake and complaints of tiredness and fatigue. 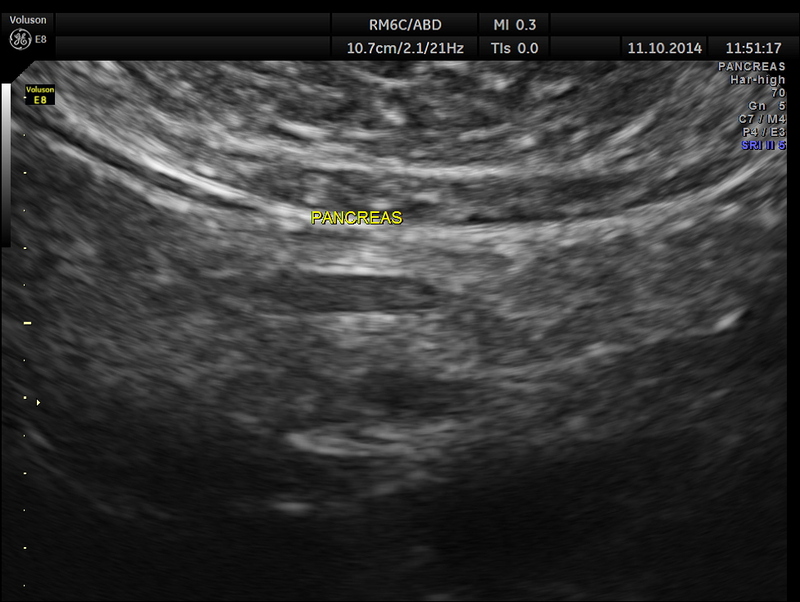 His ultrasound showed the following features. 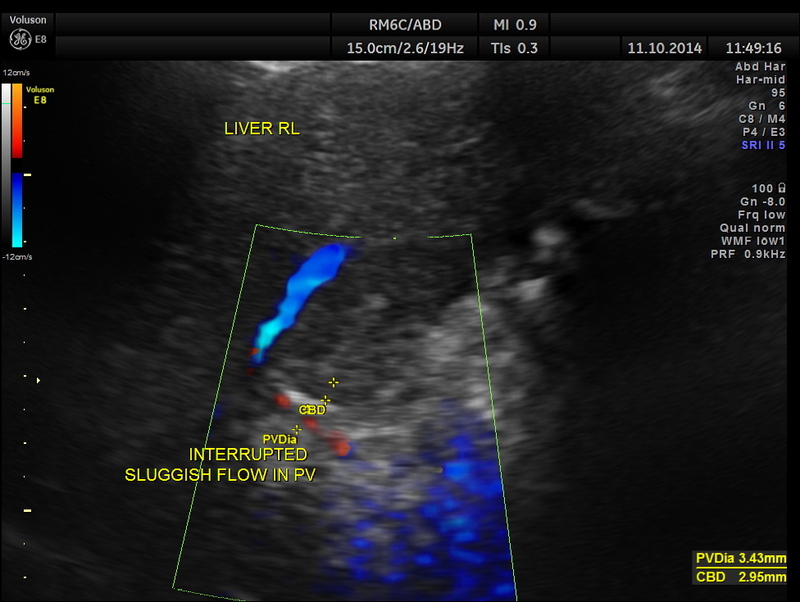 Liver texture is coarse ; Portal vein appears to be shrunk. 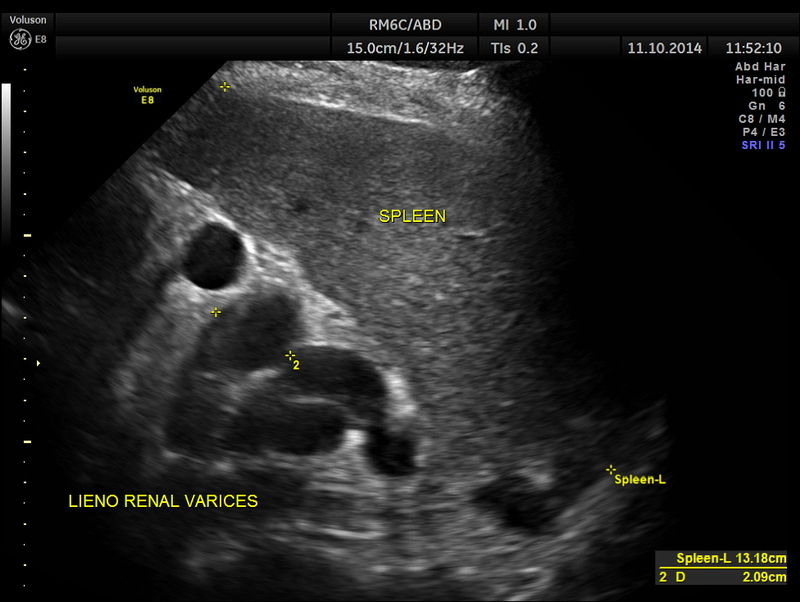 The colour Doppler confirms shrunk portal vein with sluggish and interrupted flow. 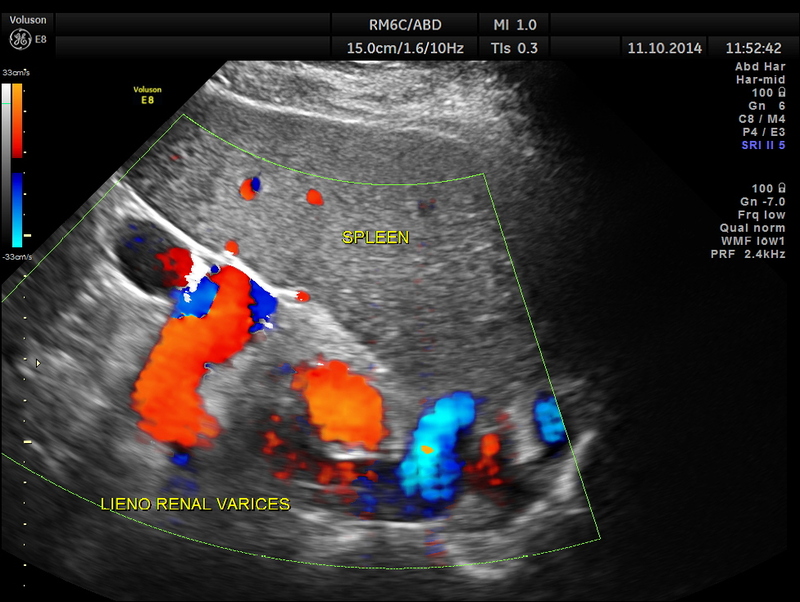 Variceal dilatation of vessels in the lieno renal ligament. Splenomegaly is also seen. 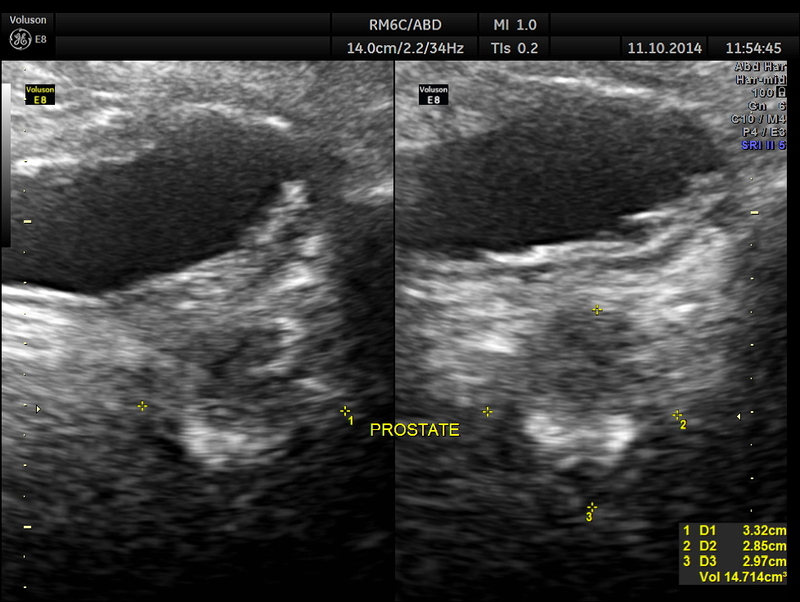 Colour flow imaging of the same. The spleno portal vein is just mildly dilated. 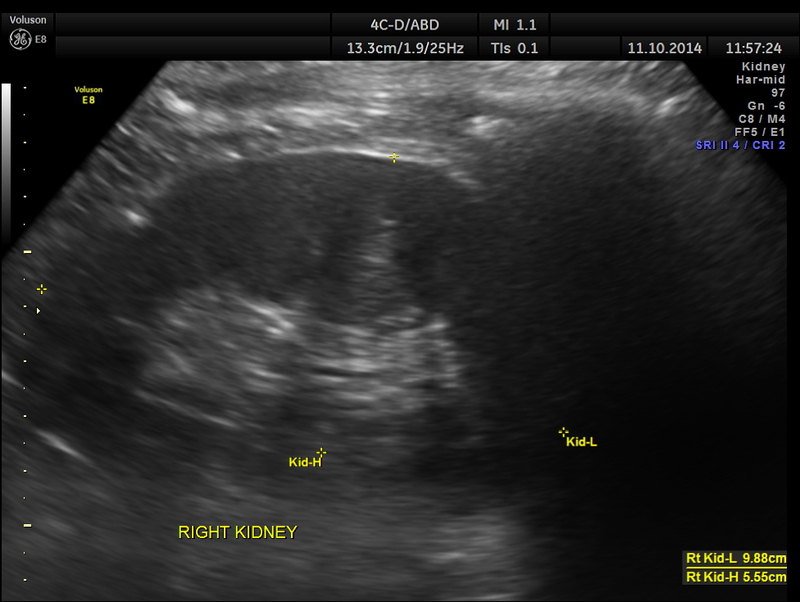 Ultrasonically a diagnosis of Portal fibrosis with portal hypertension – splenomegaly and lieno renal varices was given. ref : The following study is informative and interesting. Ultrasonic evaluation of portosystemic collateral circulation in portal hypertension. extrahepatic portal vein obstruction (EHPVO) (14). Evaluation of portosystemic collateral circulation, other than esophageal varices was done ultrasonically. “Other” portosystemic collaterals (lienorenal, gastrorenal, dilated paraumbilical and umbilical veins, paraduodenal and gall bladdes varices) were seen in 26 out of 101 patients and more commonly in the non-cirrhotic groups (50%) [NCPF: 57.14%, EHPVO: 42.86%] than in the cirrhotic group (16.44%) [ALD: 13.5%, NALD: 20%]. 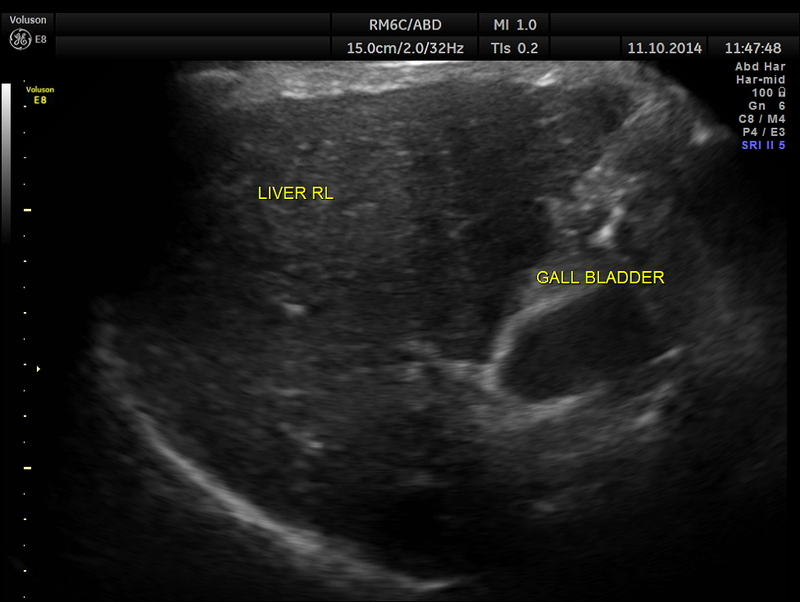 Gall bladder varices were the only form of ectopic (extra esophagogastric) varices visualised with an overall incidence of 3.96%. Collateral shunts were seen more frequently in patients without varices (100%), than in patients with small varices (34.88%) or large varices (7.84%), and in patients having undergone esophageal sclerotherapy (57.14%). 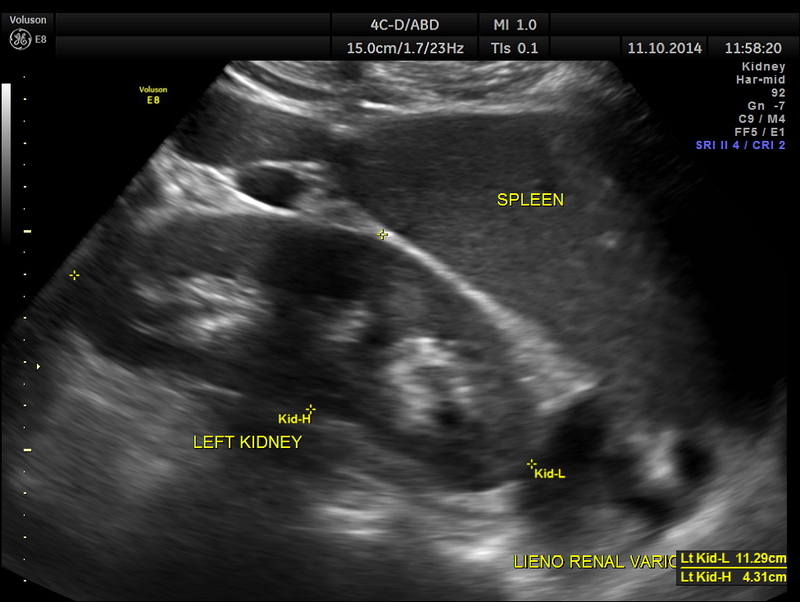 Collateral circulation did not contribute to the development of ascites. 37 patients with ascites did not have collateral shunts. The conclusion drawn was portosystmic circulation plays a decompressive role in portal hypertension and prevents formation of esophageal varices or prevents them from increasing in size. It is seen more frequently in noncirrhotic patients and in those having undergone sclerotherapy and does not contribute to development of ascites. Alcohol and tobacco are the slow killers.